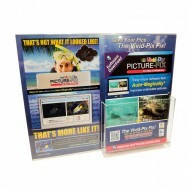 Digital Download for easy-to-use software that Auto-Magically corrects underwater pictures! 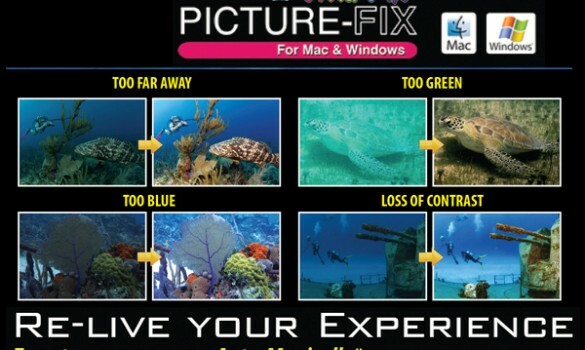 Now you can improve your underwater images with a One-Click Picture-Fix! 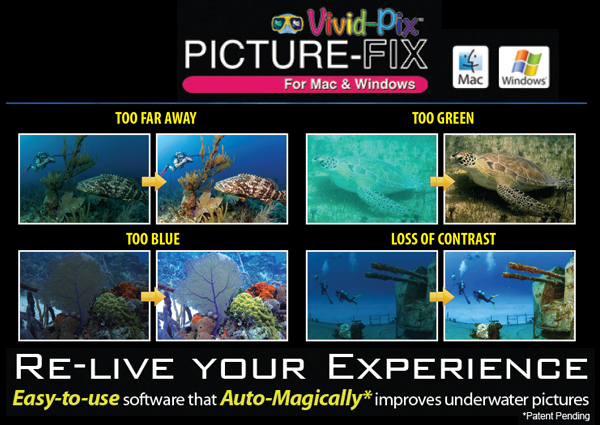 Picture-Fix software was developed specifically for the underwater world. 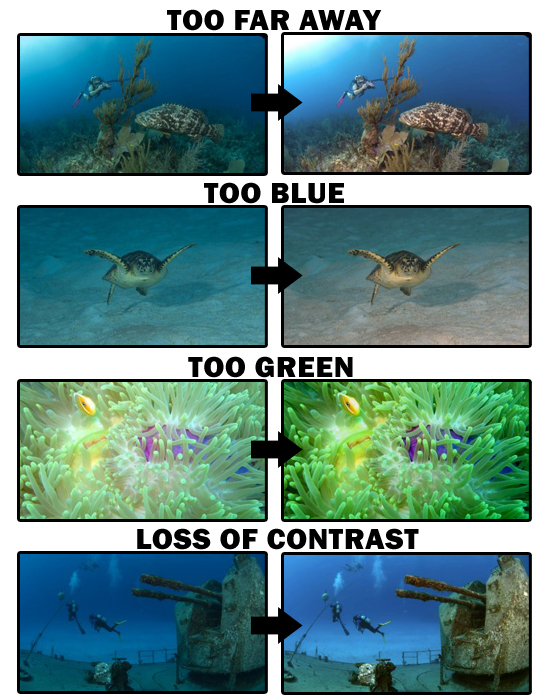 Without proper lighting or exposure, your pictures don’t relive the colours, marine life… the beauty of your dive or snorkel. Your pictures just don’t “pop” with the vivid colours you remember. With Picture-Fix we solve underwater picture challenges with advanced colour science – and it can be as easy as One Click! 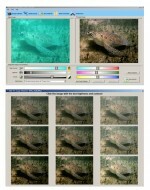 Software Auto-Magically corrects your pictures. If you’d like to fine-tune the adjustment, easy-to-use sliders (controls) have been provided that enables you to make additional adjustments based on your personal preference. 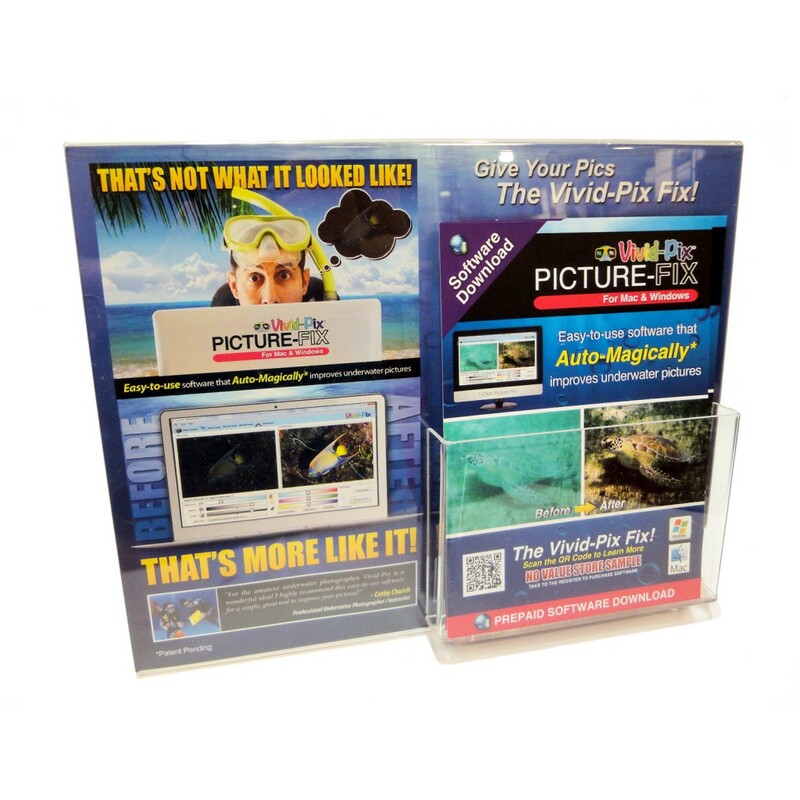 Save, share, WOW family, friends and your dive partners!